This time of year is the hardest for me. We just celebrated Valentine’s Day (I got a dozen roses, which I decided to incorporate in these pictures) and now I don’t have any family gatherings or holidays to look forward to until Easter. That’s two solid months from now. And in Wisconsin, it’s cold until then. This is the hardest stretch of winter for most people to endure. One way I get through it is keeping my body in great shape. For my physical health and wellbeing, I am hitting the gym a lot, and for my mental health and the wellbeing of my skin, I’m mixing up my skincare routine. It may sound like a stretch that I tie my skincare routine into the mental health category, but it makes sense to me. Dealing with dry, patchy skin, redness, and acne is distressing to me and really gets me down, so it’s important to me to keep my skin looking its best. When I look better, I feel better. Skin Inc has a new kit called the Get Perfect! Kit that works perfectly with my lifestyle right now. I am in the mood to mix it up a bit and not commit to anything. I love trying out new products and I feel bad when I get a full size of something and it never ends up getting used up before I’m on to the next thing. These are bigger than minis, but they’re not huge. They are meant to be used at night to wake up with amazing skin, so I can keep trying other products during the day time. And I think there’s just about enough to last me for the next 8 weeks, so really, if I stick with this regimen, by the time I’m done with it, we should be on to slightly warmer weather. The kit has three products in it: Pure Revival Peel (0.64 fl. oz. ), Custom-Blended Anti-Aging Serum (0.34 fl. oz.) and Pure Deepsea Hydrating Mask (0.64 fl. oz). First, the Pure Revival Peel. I’ve been using this after I cleanse my skin. It’s a non-abrasive peel that removes dullness and dead skin cells. I’ve only used it a few times, but so far so good! It’s really gentle and I love the idea of prepping my face for the rest of my skincare by removing all the dead skin cells. The full size version retails for $55 so this is perfect for trying it out! Next, to nourish my skin I’ve been using the Custom-Blended Anti-Aging Serum. 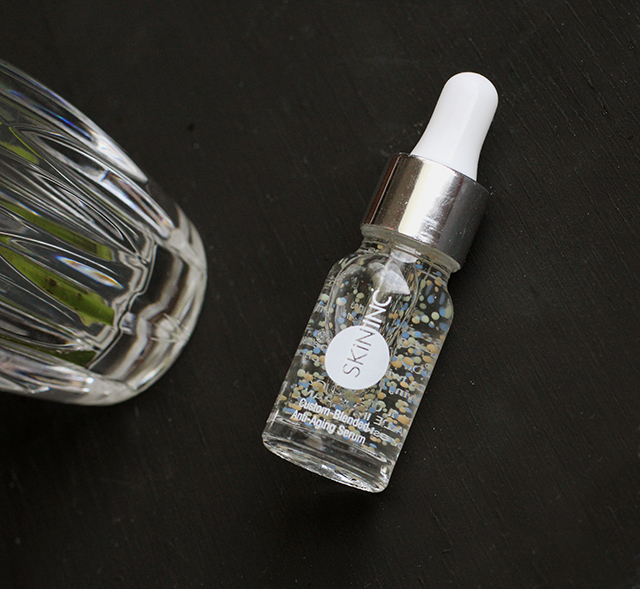 Skin Inc seriously has #alltheserums. Check them out here– they seriously have a different serum for every mood and skincare need! 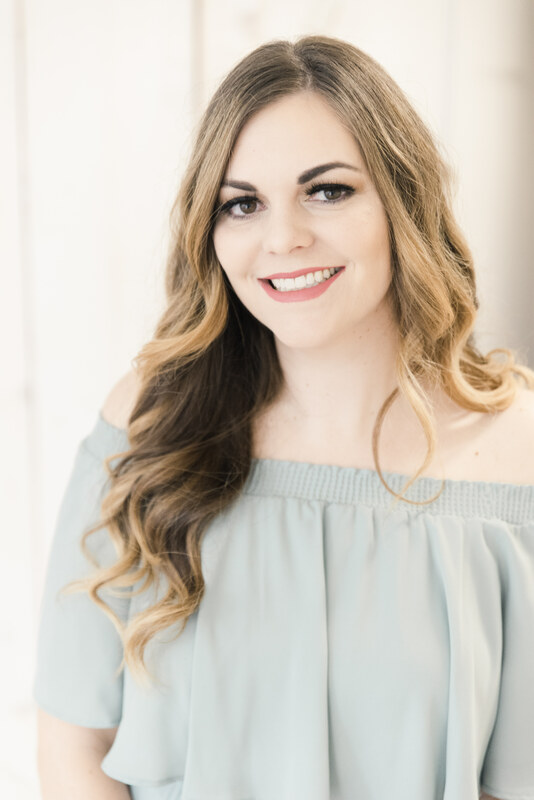 This particular one battles signs of aging using a custom blend of Coenzyme Q10, Marine-Collagen and Hyaluronic Acid, and there is special technology involved that doesn’t release the active ingredients until the second it’s applied. Lastly, and perhaps most importantly…it’s just PRETTY. All those colorful little beads (that burst with all that skincare goodness) just make me happy. Lastly, the Pure Deepsea Hydrating Mask is totally rocking my world. My favorite type of mask to use can be worn overnight as a moisturizer, or rinsed off. And that’s exactly what this is. This is such a comfortable mask to sleep in. It’s a gel mask, and feels awesome on my face but also hydrates, clarifies, and brightens the skin. When I wake up in the morning, I truly feel like a new woman after having used this! Part of the reason is most likely because it’s formulated with hyaluronic acid, which is my favorite skincare ingredient for moisture. I am really enjoying using these products right now! The kit is called Get Perfect! and I definitely feel like the three steps here help me wake up looking fabulous and ready to face the day. I just learned they are available at Sephora so I will definitely be on the lookout to try more of their products out in the future! 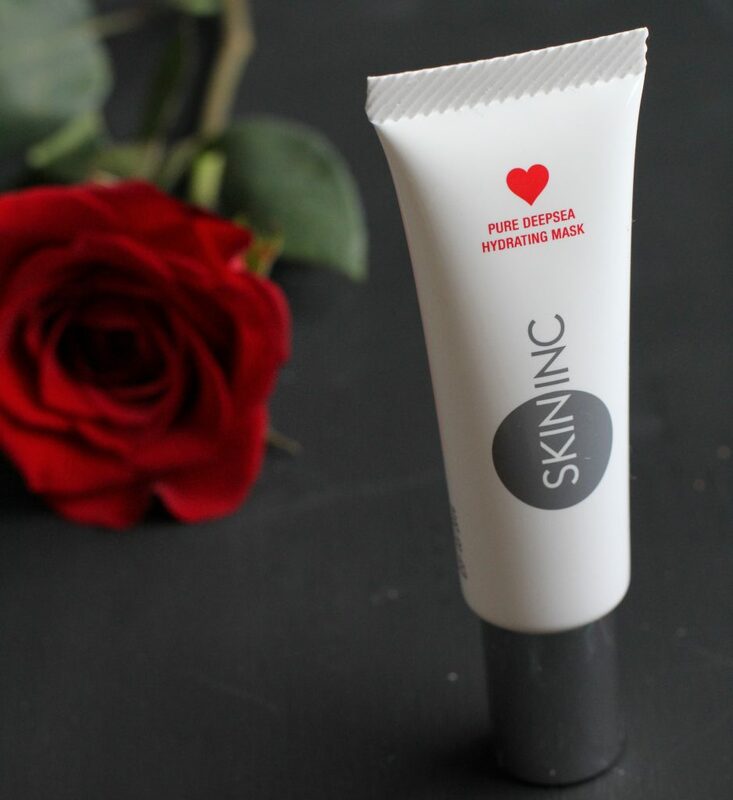 If you need a change in your skincare routine and a pep in your step during this last and longest stretch of winter, totally check out Skin Inc! 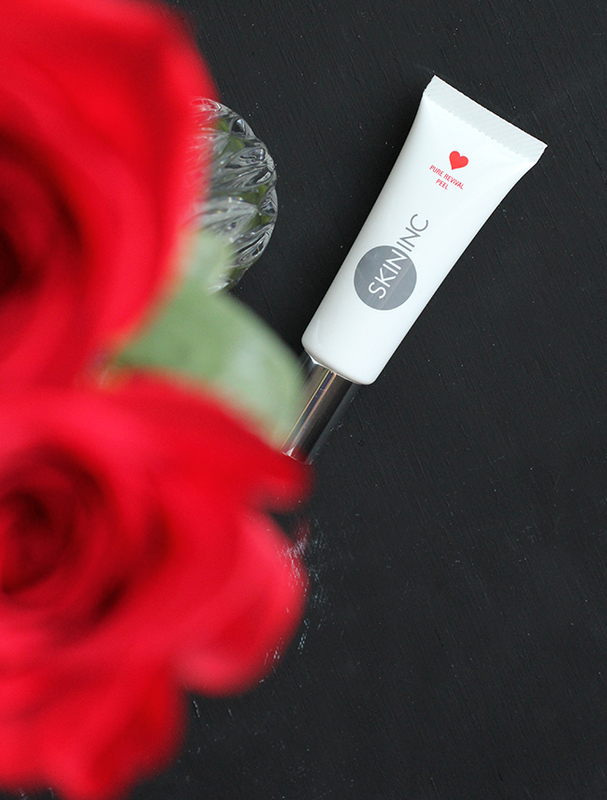 #iloveskininc and they make me feel #partyready and I think you’ll agree! What skincare are you using right now? Is winter lasting forrrreeeevvvvver for anyone else? 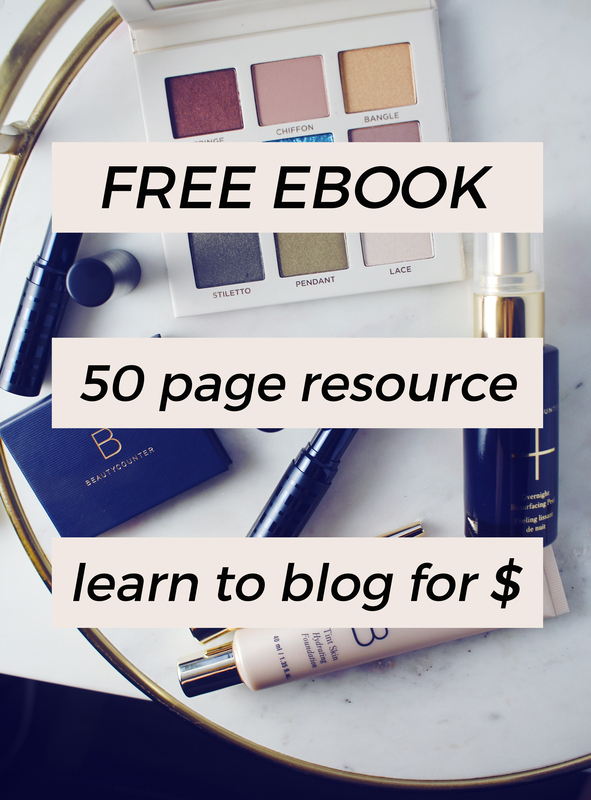 Read what other bloggers have to say down below! Thanks for introducing me to this brand. I really want to try that mask! ohhh that looks nice. I will have to look into that. The gel mask sounds amazing! Going to have to make a trip to Sephora soon …. I am digging the face peel. It is so gentle on my skin.